Terra’s Kitchen focuses on fresh, farm picked produce and seasonal ingredients that are delivered straight to your door using a state-of-the-art transport vessel. Their recipes are fresh tasting, never canned and focus on sustainability along with creativity. Meals focusing on the farm-to-table way of life. 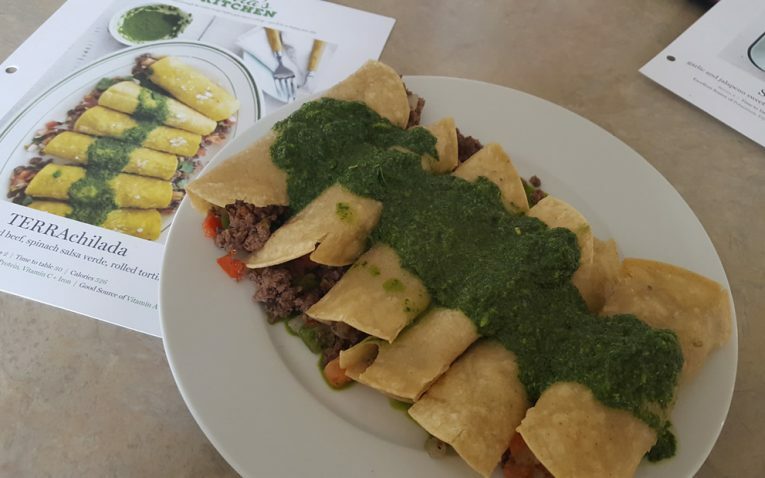 When you first sign up, you will tell Terra’s Kitchen if you like a little bit of everything or if you are a vegetarian – that way they suggest meals that you would be interested in. You can change your preferences at any time toon. 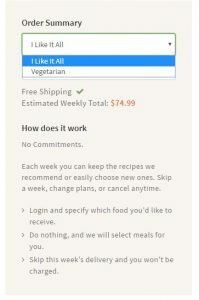 Each week you can choose from a large list of recipes – though the number you choose from will change weekly. 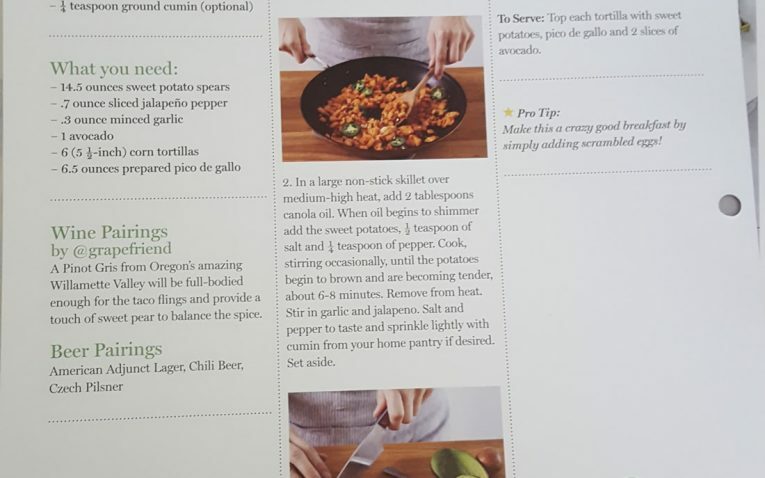 If you want more meat with your dishes, you can actually order extra proteins from Terra’s Kitchen to include with your recipe. This is the only company I have seen that offers this. 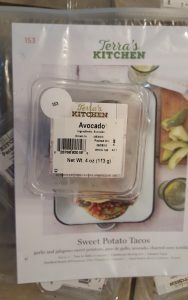 If you want to add a side salad or something fresh to compliment your dishes, Terra’s Kitchen lets you also select add-on salads from their menu. You can order as many as three meals per week and up to four servings per meal. 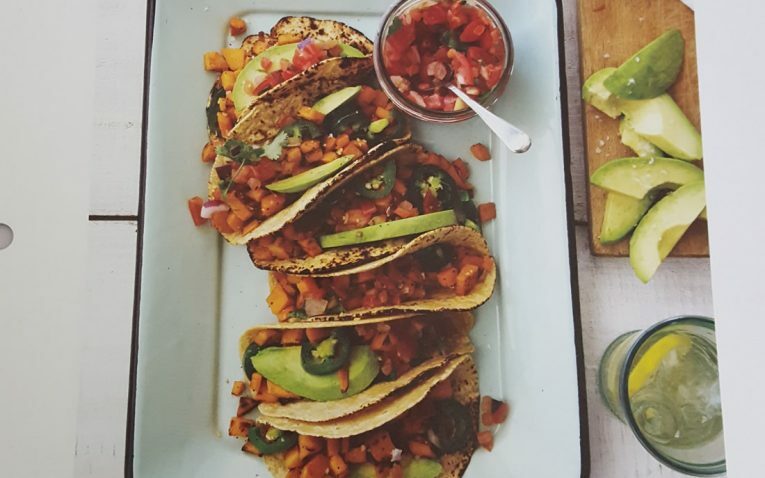 Terra’s Kitchen also has gluten-free, vegan and Paleo meals. They may not have as many to choose from, but they offer them to their customers. Nothing. The options with Terra’s Kitchen are impressive. Terra’s Kitchen is very flexible. Each week you can pick through a large array of menu options and add-ons. If you don’t like what they automatically chose for you (which is based on your profile), you can substitute. 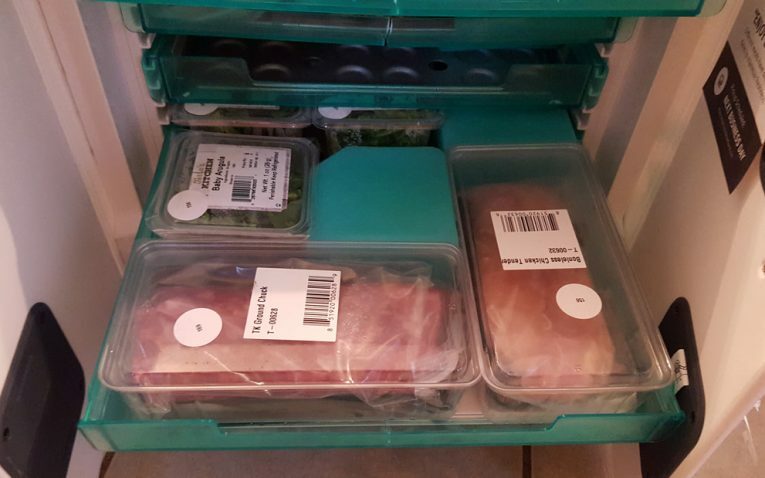 The amount of recipes to choose weekly varies, but you will have more than enough for your three meals. There are no combination limits and Terra’s Kitchen allows you to be as creative with your menu and add-ons as you would like. 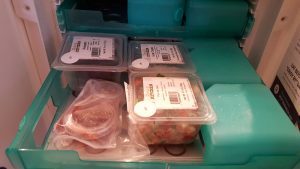 If you do not like what is offered up that week or you just don’t want to cook with Terra’s Kitchen that week, you can easily skip. 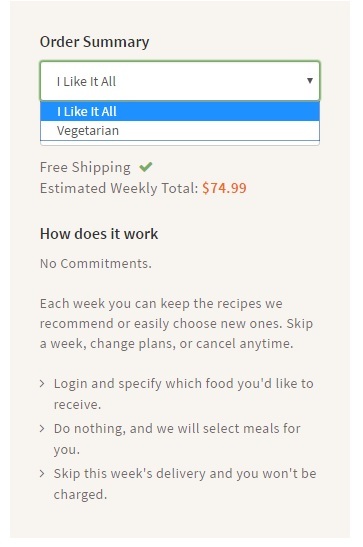 Terra’s Kitchen also makes cancelling your account easy. You can pause or cancel on your dashboard. Nothing. Terra’s Kitchen is extremely flexible. Terra’s Kitchen offers excellent variety with their menu. They still encourage experimentation, but don’t go overboard with complex flavors – which is good if you plan to use this for your entire family. 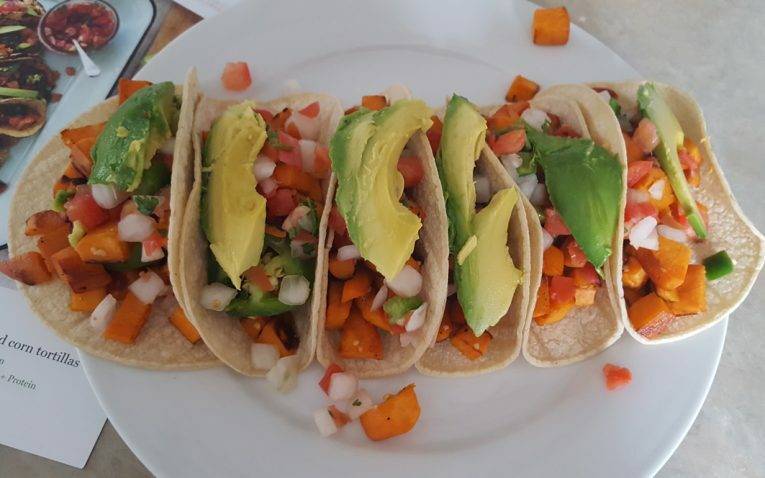 For example, this week they are offering recipes like Avocado Lime Corn Soup, Happy Chicken Salad Bowl, and Roasted Salmon with Cucumber Carrot Slaw. 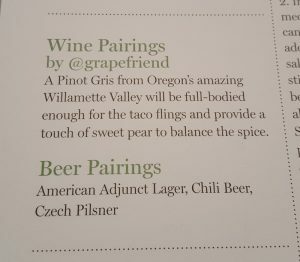 They use ingredients that you are familiar with, but also branch out. When I made their Terrachiladas, for example, they did a salsa verde, but used spinach. I never would have thought to do that myself. They do have a lot of repeating recipes. Four weeks after I ordered, they still were offering similar menu items from when I had to choose. Because they repeat, people that do this weekly may find there isn’t enough variety. Terra’s Kitchen has clear nutritional information on their recipe cards. They also state what category of meal – such as gluten-free, vegan, vegetarian, etc. They include more than just the calorie count. While they don’t say on their site what their recipes average in calories, most of them had impressively low calories per serving. All of the ingredients I received from Terra’s Kitchen were extremely fresh – which just proves they do the farm-to-table concept. Nothing. Terra’s Kitchen features fresh ingredients, great herbs and spices and all of their meals offered a great per serving calorie count. Terra’s Kitchen has varying prices. Their meals, which are two servings per meal, will range from $9.99 per serving to $17.99 per serving. The majority of their recipes fall between $10.99 and $13.99 from what I have seen. 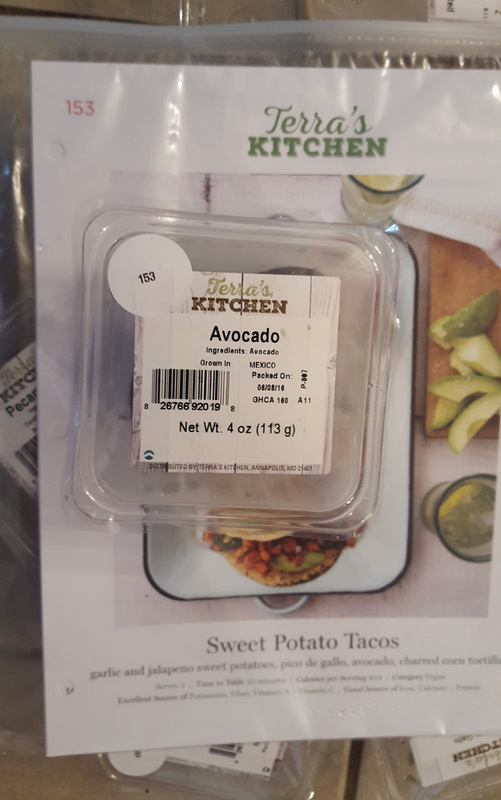 The add-ons with Terra’s Kitchen are anywhere from $3.99 to $9.99 per serving and include things like one-serving salads, desserts, etc. With Terra’s Kitchen, you just pay weekly for your meals and can order up to three meals per week with as many as four servings per meal. 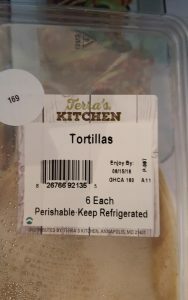 Terra’s Kitchen doesn’t have a flat per serving price. Instead, each meal has it’s own per serving price. This allows you to pick and choose within your budget, but some meals can go as high as $17.99 per serving! For example, their grilled lamb dish is $16.99 per serving. 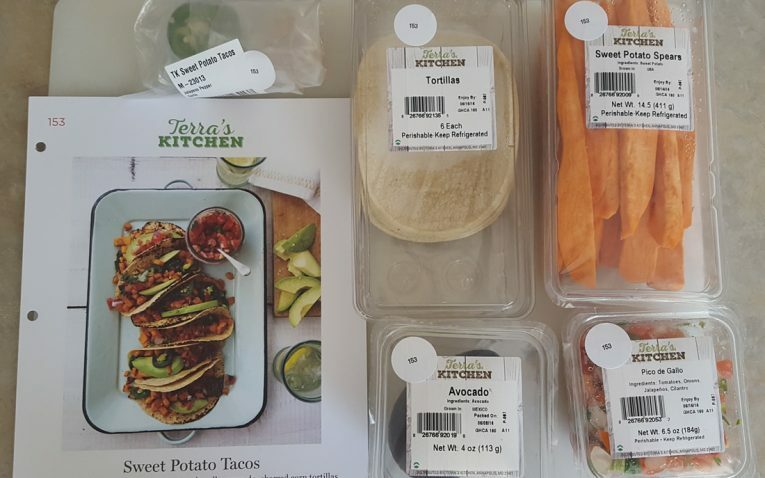 This is a lot more expensive than other meal kit delivery services and could be too far out of reach for most customers (especially those doing family plans). 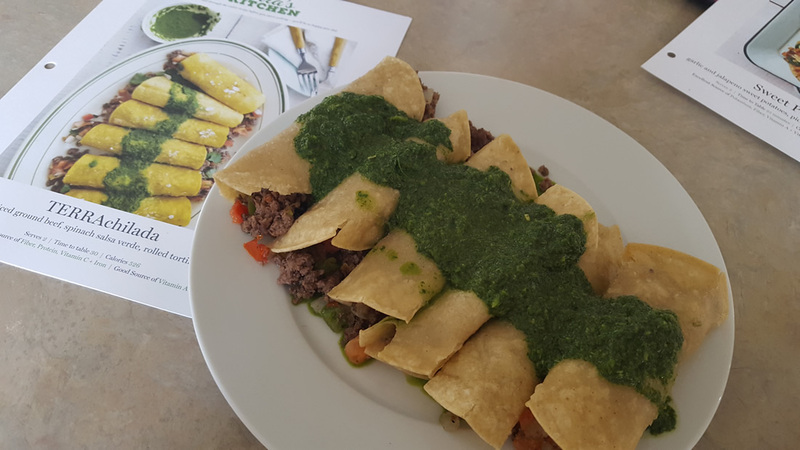 Find out our results when we tested Terra's Kitchen's Recipes! 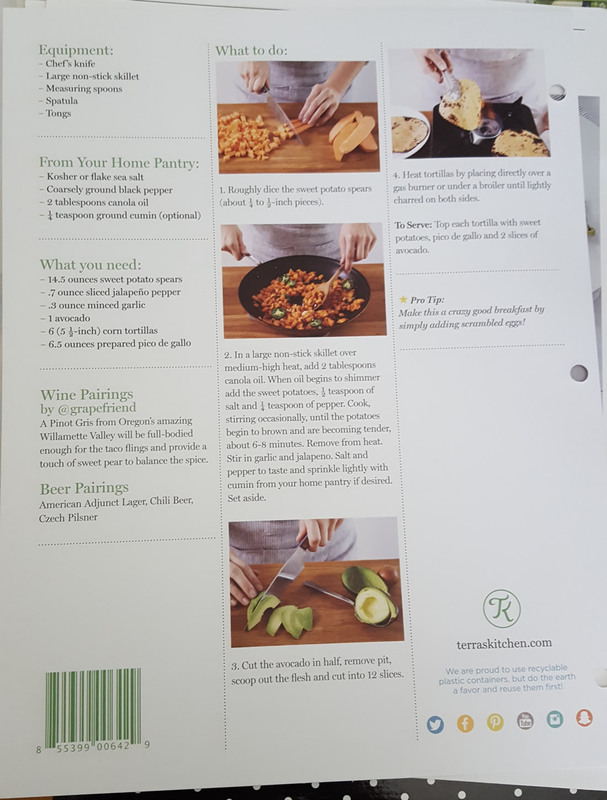 All of Terra’s Kitchen recipes have step-by-step instructions (complete with pictures). They were very well-written, easy to follow and they included recipe ingredient amounts so I could easily recreate the Terra’s Kitchen recipes I liked at home again. 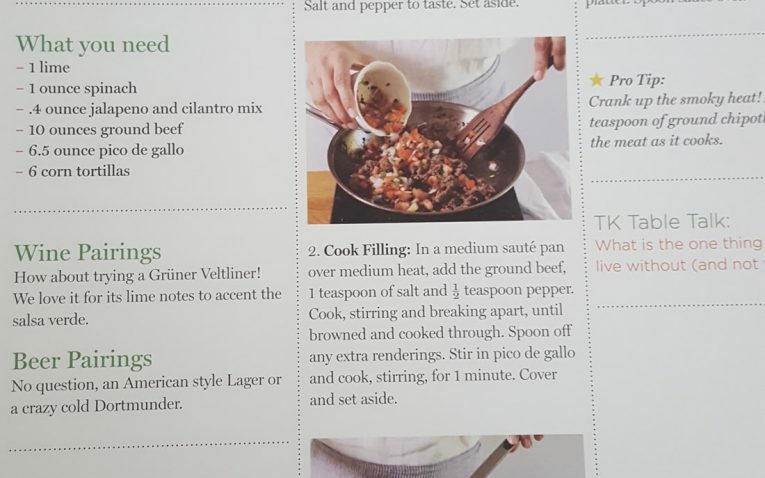 All of the recipe cards feature a pro tip so that you can get the most out of your recipe. 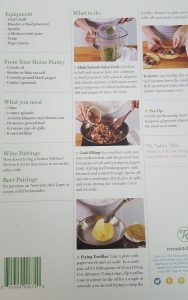 All of my recipes from Terra’s Kitchen turned out just like the recipe card. 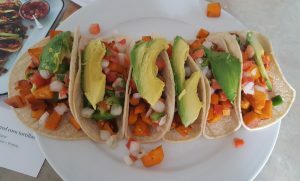 It was quite impressive how easy they were to make – and how tasty they were with so few ingredients. I was impressed with their food and enjoyed all of the recipes they sent me. Nothing. I found Terra’s Kitchen recipes very impressive. The food turned out great as well. 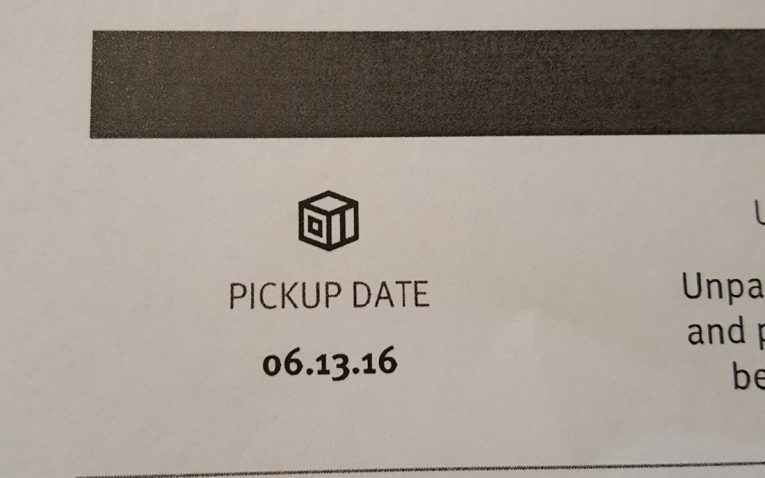 Each vessel comes with an inventory that specifies your pickup day. This is usually the next business day after delivery. You will place the vessel back on your porch and FedEx or UPS will come for it on the pickup date. Each vessel comes equipped with heavy duty handles on the side – making it easier to lift your box inside. The exterior of the Terra’s Kitchen vessels are clamped shut, but easy to open. When you first open the vessel, you will find your recipes on the inside of the front of the box and then the pre-filled trays and ice packs on the inside. 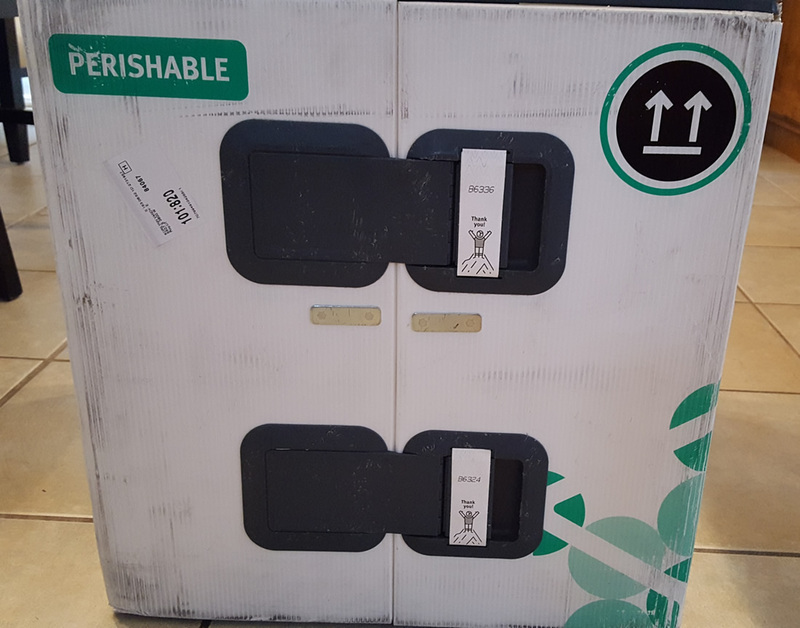 It is one of the most unique packaging we’ve seen with meal kit delivery services. 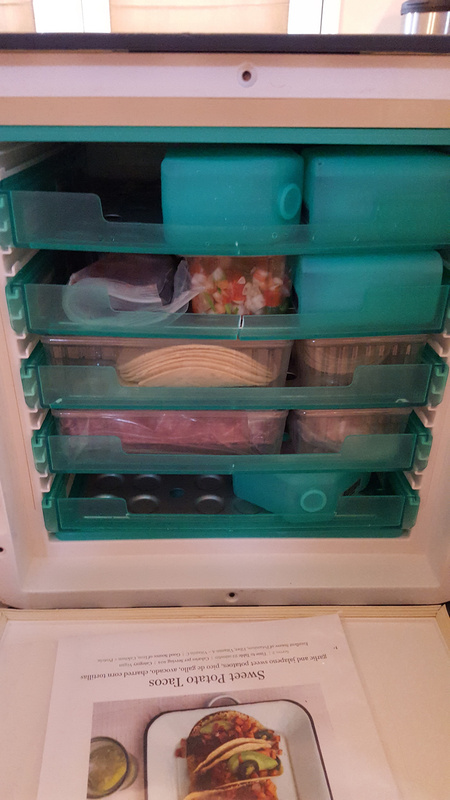 Each pull out tray has different ingredients. They strategically place them with ice packs. 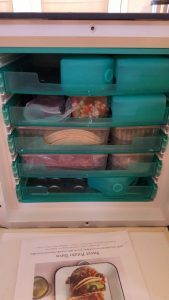 What is great about this is each shelf is chilled from the top and bottom – so everything was extremely cold upon arrival. 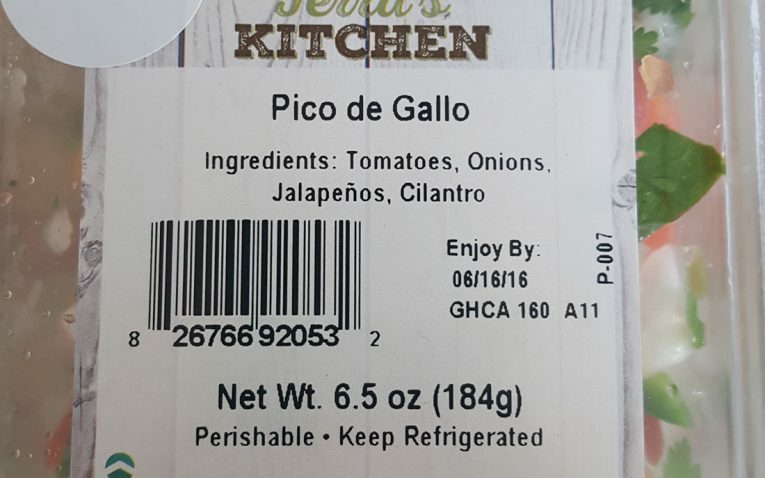 The Terra’s Kitchen items are individually labeled. 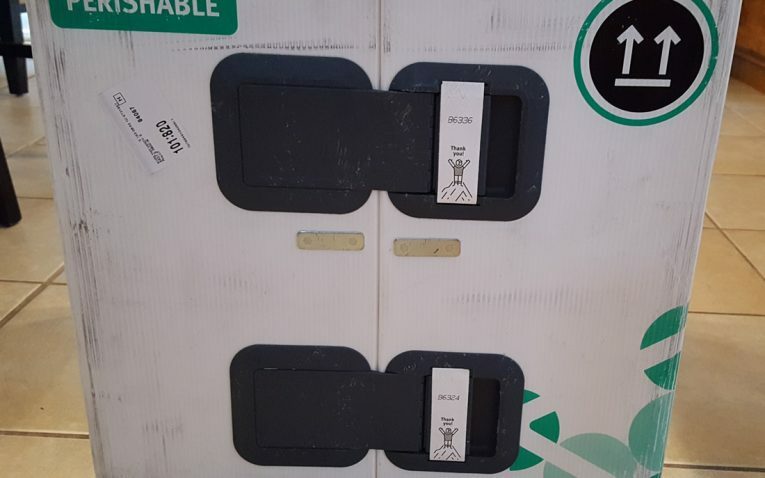 They state what is in the package, how to store it and they all have barcodes for in-house tracking. 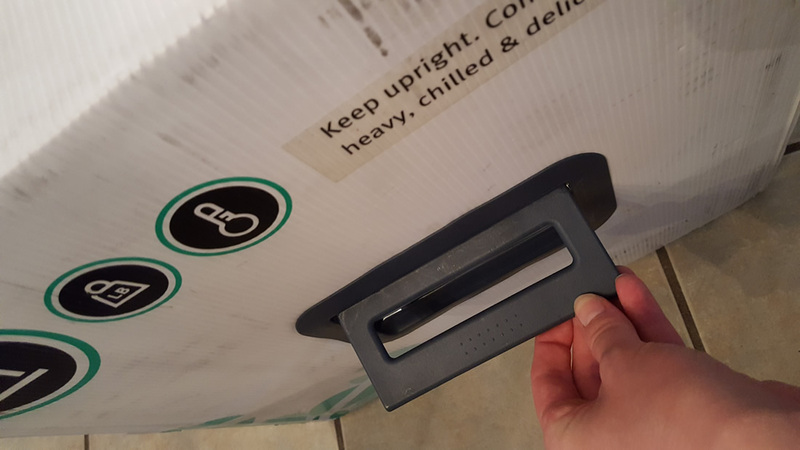 At the top, the package will have a number in the corner. This number corresponds with the number on the recipe card – so you can easily identify what goes with what recipe. 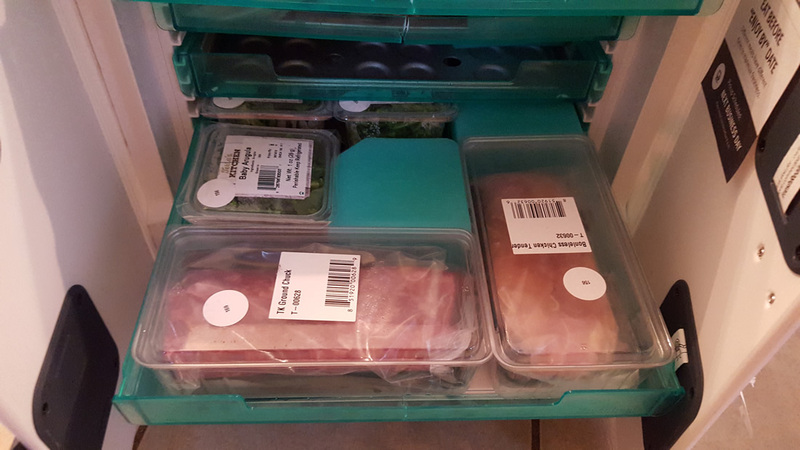 Each shelf has the ingredients placed so that they can stay cold. 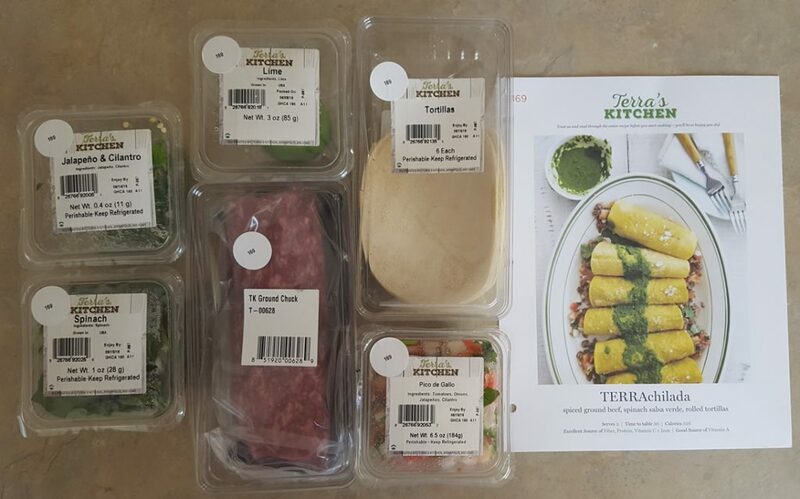 There was a lot of preassembled, pre made ingredients with Terra’s Kitchen to help cut down on prep and cook times. 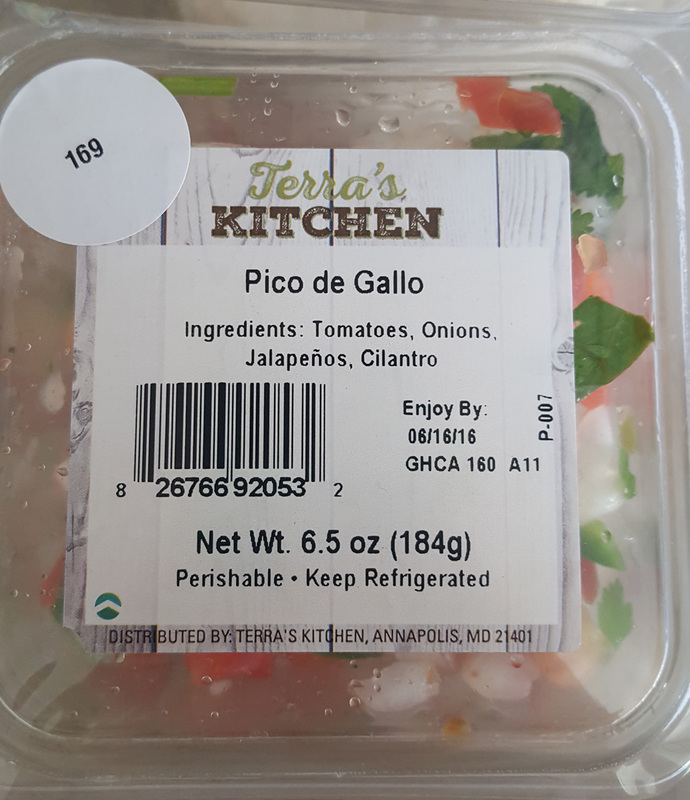 For example, both recipes called for pico de gallo, which was already made and ready to use. The one issue with these individually packaged ingredients is storage space. 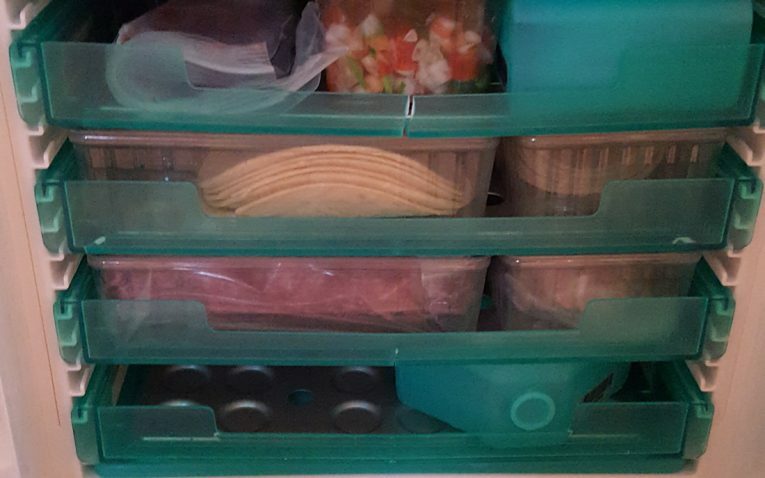 They take up a lot of space in the fridge – compared to the meal kit bags that everyone else sends. Meals are delivered weekly in Terra’s Kitchen vessels. These vessels are extremely well-insulated and even better, shipping is still free (with a minimum order of $64.99). 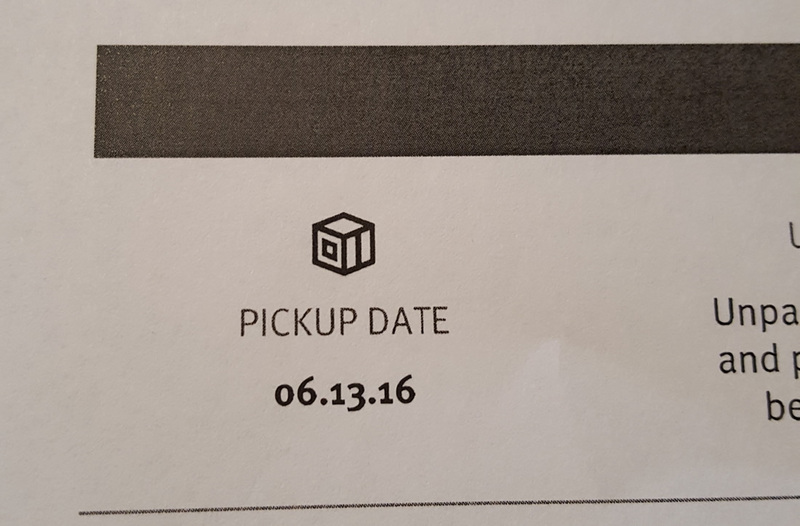 You are allowed to choose the delivery day (including Saturdays). Your options for delivery days will depend on where you live. Terra’s Kitchen does ship during the summer and their vessels are equipped to handle extreme temperatures. Mine held up even in 100 degree weather. Shipping is only free after you reach the $64.99 per order mark. This is fairly easy to do with the cost of Terra’s Kitchen meals, but still, could be an issue for some. If you don’t reach the free shipping cut off, then shipping will depend on the order. 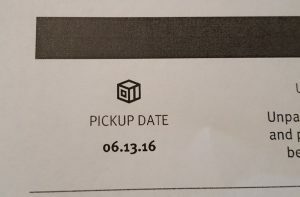 Terra’s Kitchen is not clear about where they can and cannot ship to. We assume they cannot ship to Alaska and Hawaii (like most of these services), but they don’t specify other regions. Instead, they require that you setup an account. 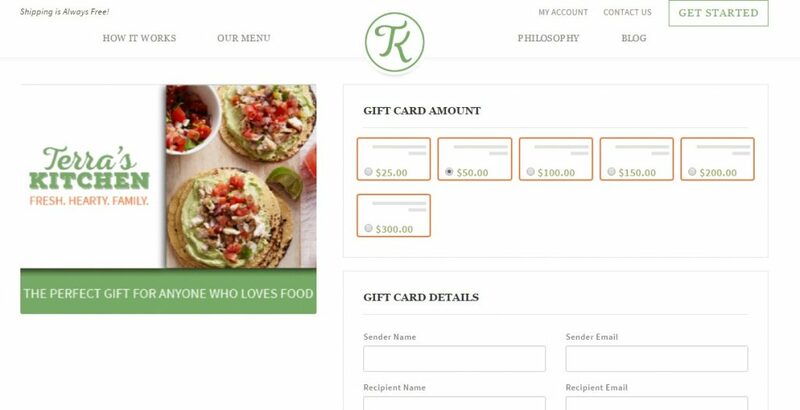 Terra’s Kitchen offers gift cards. You can purchase in amounts ranging from $25 to $300. You then fill out the details, create a message, and the gift card is delivered to your recipient. There are no gift memberships with Terra’s Kitchen. But, I find gift cards much more flexible and better. That way recipients can pick and choose what they want and not be locked into a specific membership plan or amount. Terra’s Kitchen has plenty of ways to reach their customer service – from email to social media. They offer a 100% freshness and quality guarantee. If there are any issues with your vessel or its contents, you have up to seven days to report it to their customer care line. They will then issue a refund or credit voucher – depending on the issue. They may require photographic documentation for certain issues. Terra’s Kitchen doesn’t specifically mention their customer service line, but they do have one. Nor do they mention customer service hours. Add-Ons: These are one-serving add-ons that range from $3.99 to $9.99 per serving – depending on what is ordered. Meals: Meals with Terra’s Kitchen start at two servings and go as high as four servings. Starting at $9.99 to $17.99 per serving. 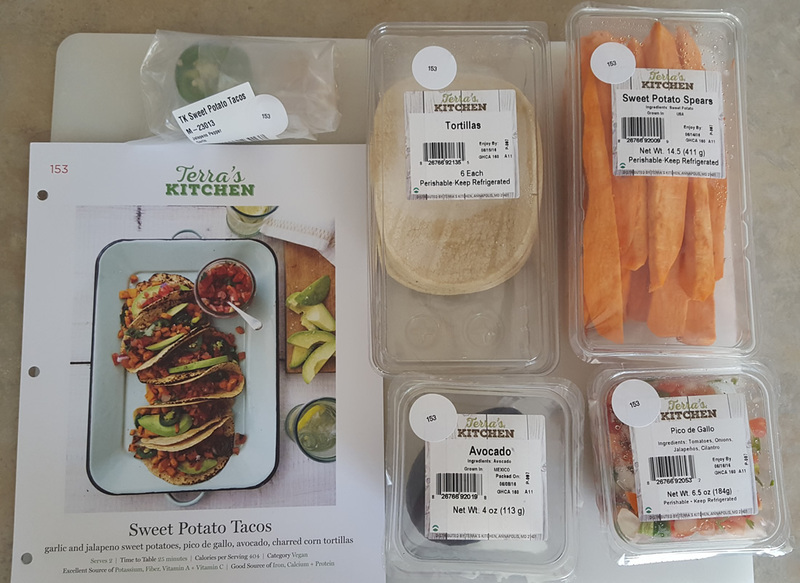 Terra's Kitchen - $35 Off! While the recipes sound complicated, they are extremely easy for anyone to prepare. 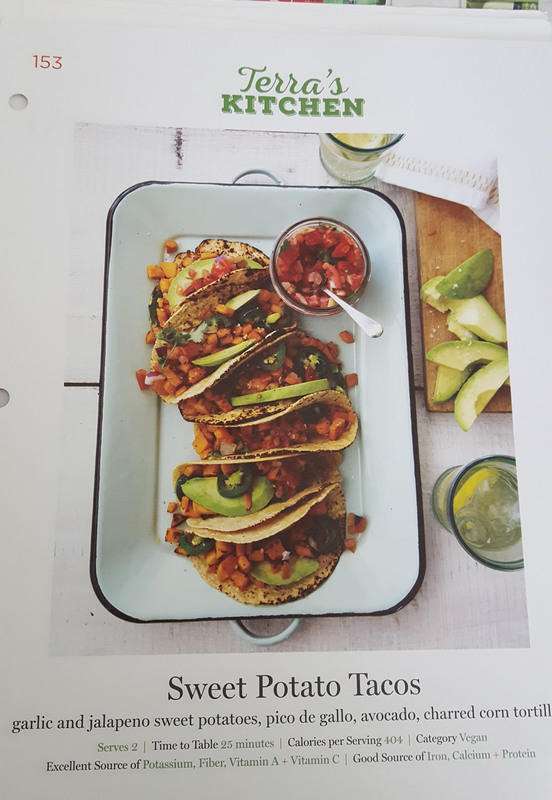 Terra’s Kitchen recipes are even simple enough for the kids to help out on – mind did. 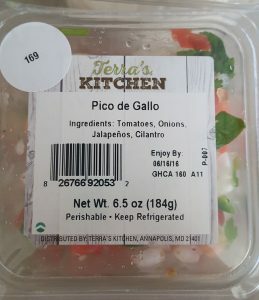 Terra’s Kitchen has farm-fresh recipes, but their prices are a lot higher than other companies. 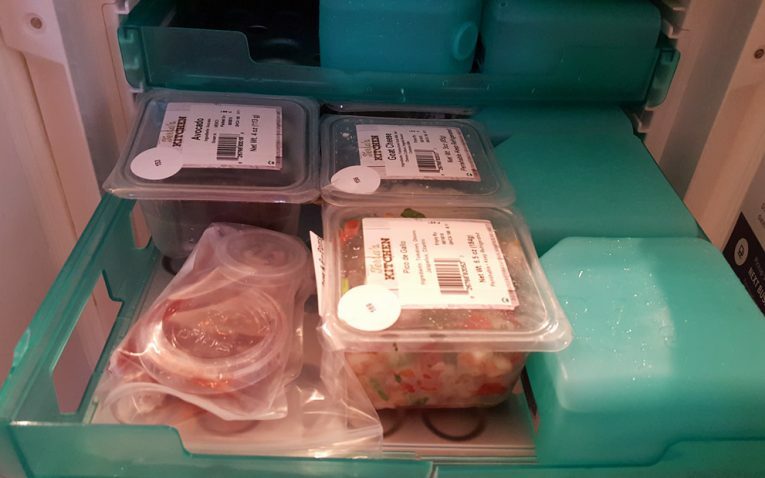 So, they may not be suitable for those looking for a weekly meal delivery service – because the cost for a week’s worth of food is rather pricey from here. That being said, they have family-friendly recipes and plans that also accommodate busy couples. Because they do a lot of the prep work, recipes come together quickly – so if you want weeknight meals you can complete in a pinch, Terra’s Kitchen will work for you too. 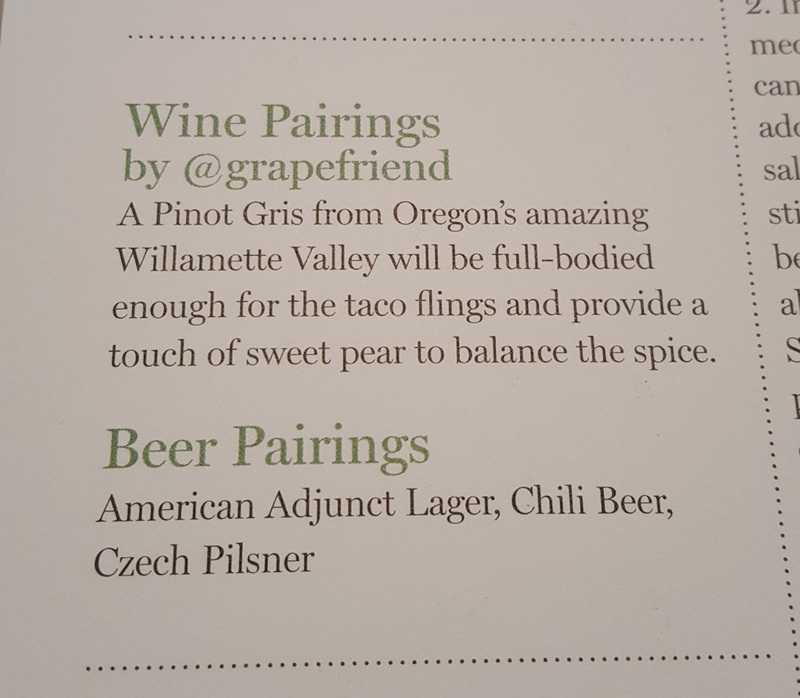 Wine and Beer Pairings: Each recipe comes with suggested wines and beers that will bring out the flavors of the food. Reusable Vessels: The vessels used by Terra’s Kitchen are not just unique, but they are reusable up to 100 times before they have to be discarded. They take the whole waste reduction mission to an entirely different level – and they are by far the most impressive when it comes to packaging in general. 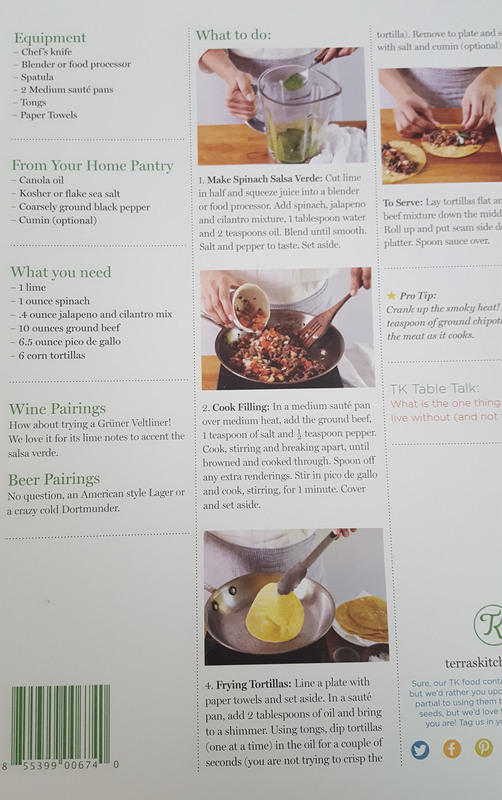 Table Talk: One cute feature of the Terra’s Kitchen recipes was the Table Talk feature. Each recipe had a table talk idea prompt to get more conversation at the table. Huge Portions: Each recipe I received was designed for two people, but they were easily split between two adults and two children. I mean, the enchiladas, for example, had three enchiladas per person. 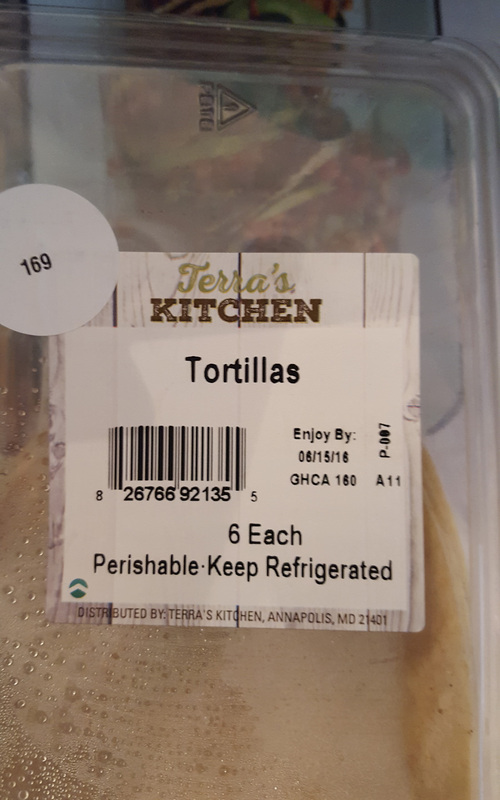 High Per Serving Price: Terra’s Kitchen is definitely expensive. With the fact they offer freeshipping, I’m assuming the high cost covers part of the vessel. That being said, Terra’s Kitchen had the best-tasting and best quality recipes I found after testing – so you do get what you pay for. Repeating Recipes: While repeating recipes can be good, they can also leave people who order from Terra’s Kitchen on a weekly basis without adequate options – and no one wants to repeat. Overall, Terra’s Kitchen is an impressive collection of recipes that all feature the farm-to-table concept. Ingredients are fresh, recipes are fun, and I highly recommend them to anyone that wants to branch out and try a meal kit delivery service at home.